2018 is the Chinese New Year of the Dog, celebrated on February 16th. The dog is the eleventh of all zodiac animals. Honest and loyal, dogs are the truest friends and most reliable partner. A Dog’s most defining characteristic is their loyalty. They will never abandon their friends, family or work. The last Year of the Dog was in 2006. 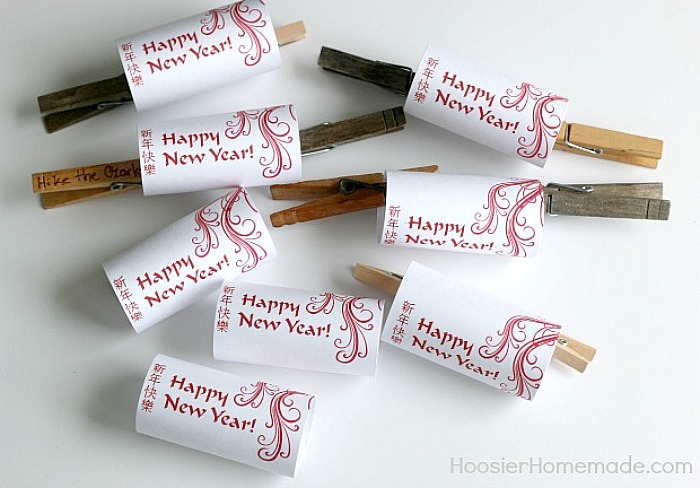 New Year Markets – during the course of the New Year’s days, a temporary market will be set up to sell New Year goods such as clothing, fireworks, decorations, food, etc. Cleaning – a few days before the Chinese New Year, people do a complete house cleaning and housewares which signify to remove the old and welcome the new. 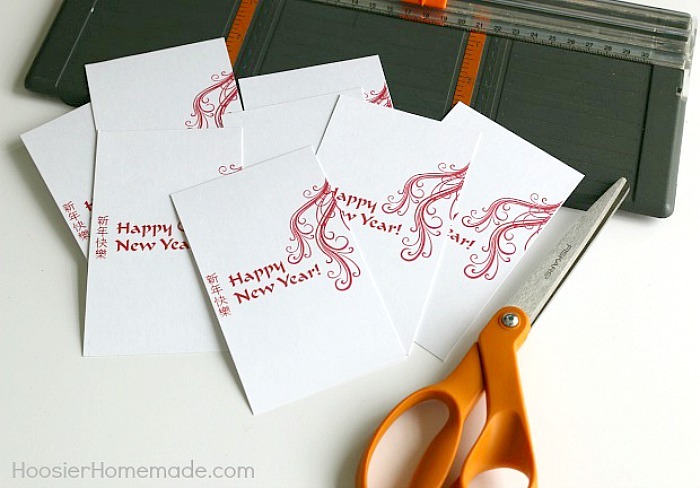 Decoration – after the cleaning, people will decorate the house to welcome the New Year. 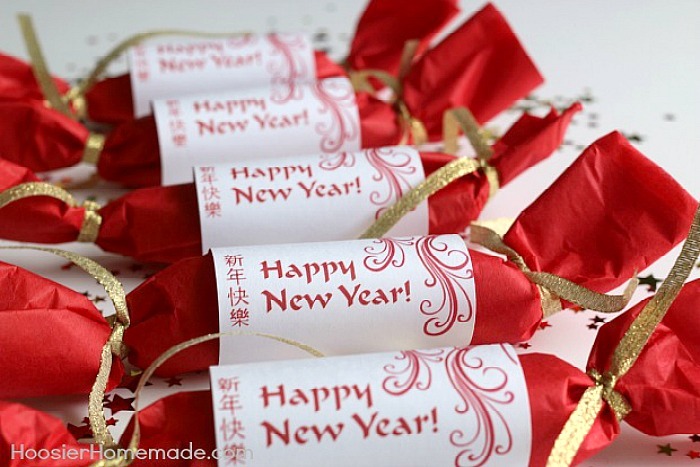 Red Packets – the packet, similar to an envelope with money are given by adults to children in the New Year days. 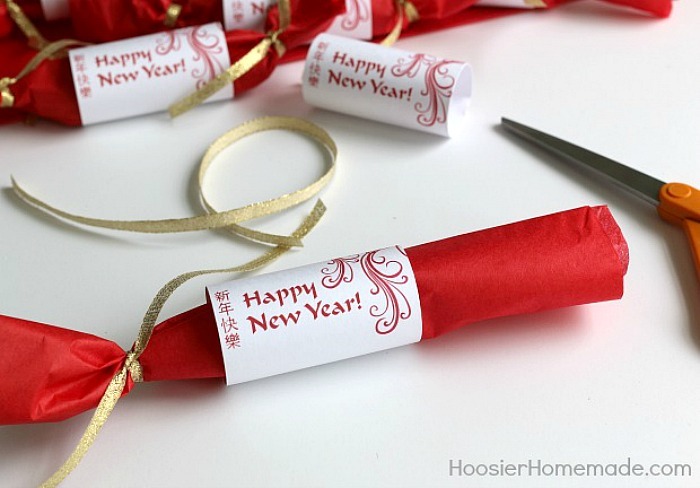 Today we are sharing a fun version of the Red Packet with our Chinese New Year Party Favors. We decided to keep them general so they can be used year after year. But you can of course, add the Year of the Dog to them if you want. 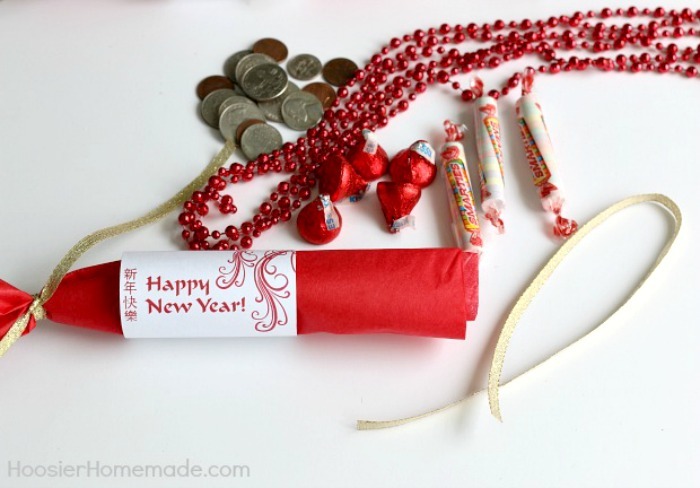 The Chinese New Year Party Favors were also quite frugal too. 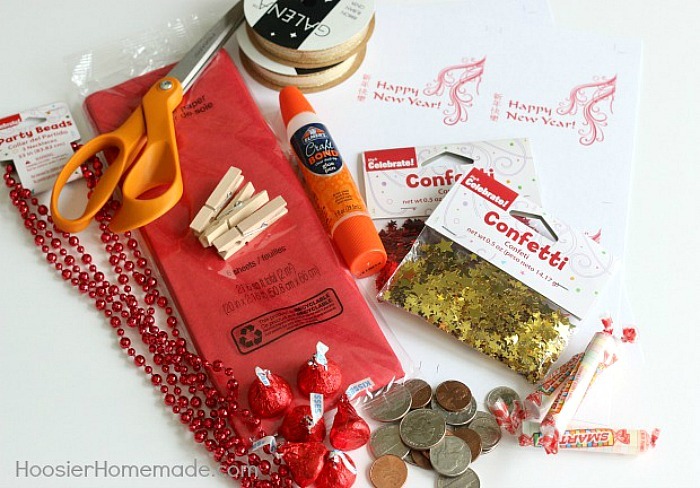 Depending on what you fill them with, you can make them for about $.50 cents each. I think they would be super fun at a child’s birthday party as well. Cut the tissue. I got 4 out of each piece of tissue. 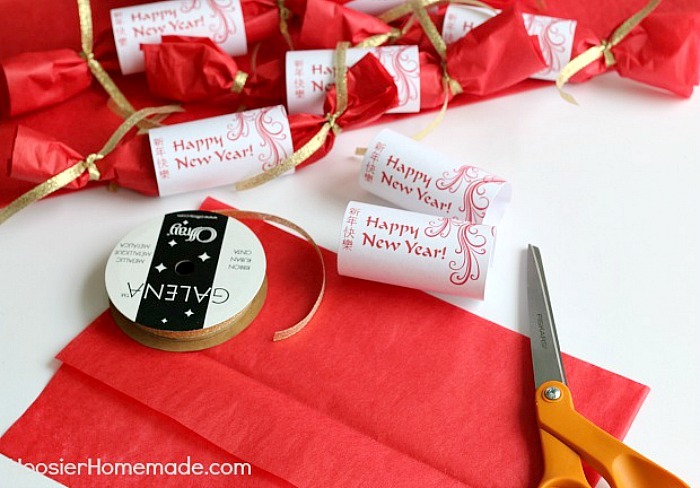 Roll up tissue and slip into tube. Tie up one end with ribbon. Tie other end. And you are done. Hi Ardis, well it appears that Semi Homemade has taken down their site. 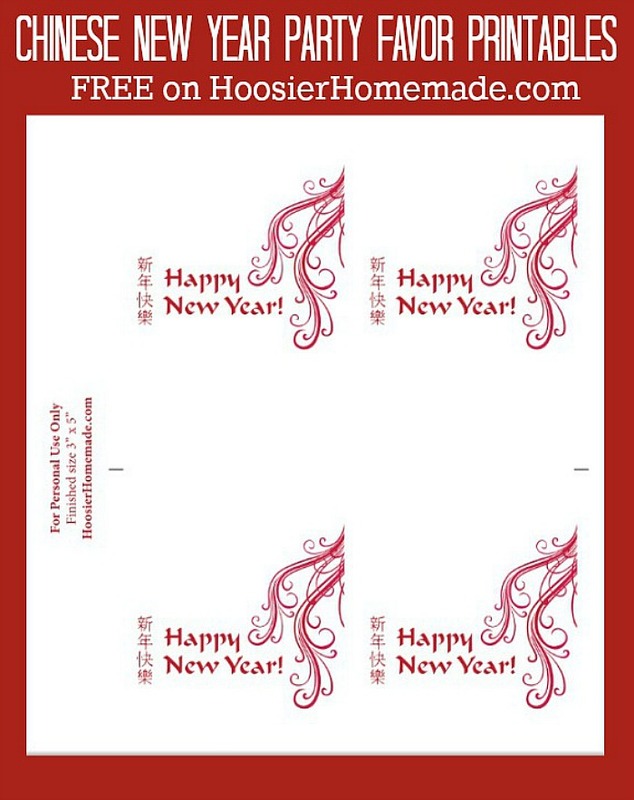 I searched around for another printable and did not find anything, however, if you search Google images…http://images.google.com/ – then type in “year of the dragon”, you will see lots of different photos. From there you can either save the photo if it’s free, or purchase one from a site that hosts images. Looks like it was a great party! Thanks for sharing! This is amazing! 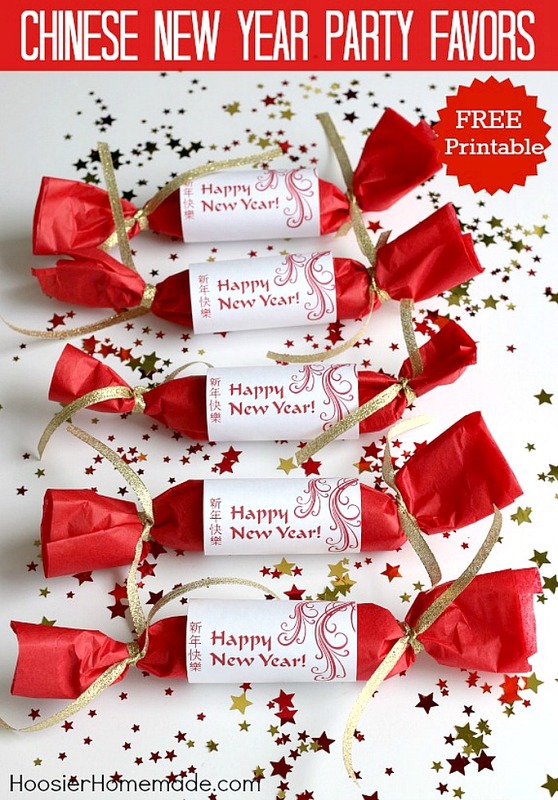 My step dad is English and we do this a Christmas every year, but usually I’m running to world market are pier 1 and spending a fortune for six little crackers. But this is perfect! I definitively have to try this out.